Wash your hands after you go to the bathroom, wash your hands before you cook, wash your hands before you eat, wash your hands before you hold a baby, wash your hands after changing a diaper, wash your hands after handling money, wash your hands after touching animals, wash your hands, wash your hands, and wash your hands. 2. Cook food thoroughly, especially poultry. Food can carry lots of harmful bacteria that can make you very sick, but being sure to cook it thoroughly will kill the bacteria and keep you healthy. 3. Wash fruits and vegetables. Just like meat, fruits and vegetables can carry harmful bacteria as well. Be sure to was them thoroughly, especially those that you plan to eat raw or uncooked. Use anti-bacterial sprays or wipes, such as Lysol or Clorox, and clean common surfaces around your home such as countertops, door knobs, toilets, and faucets. 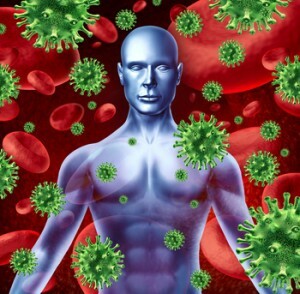 Bacteria and viruses can live on surfaces anywhere from a couple of minutes to days on end. A little clean up can go a long way in preventing illness. 5. Stay home if you are sick! If you’re feeling ill, stay home from work and other activities because you may cause others to get sick as well. A common cold that is just an inconvenience for you could be a life-threatening illness for an infant, an elderly person, or anyone with an underlying health condition. Do yourself, and everyone else, a favor and stay home until you feel better! Vaccines are one of the most important ways to prevent important infectious diseases. Vaccines are quick, safe, and effective,and protect not only yourself, but also others from becoming ill. Vaccines exist for many disease now, and while some provide lifelong immunity (hepatitis B vaccine, for example), others only provide seasonal or temporary immunity (the flu vaccine). 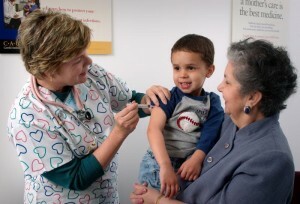 MOVHD provides a number of vaccines at all the clinic sites across our six-county region. For more information on vaccines available, visit this page. Check our calendar to find times and dates of our services and programs at all of our county offices.